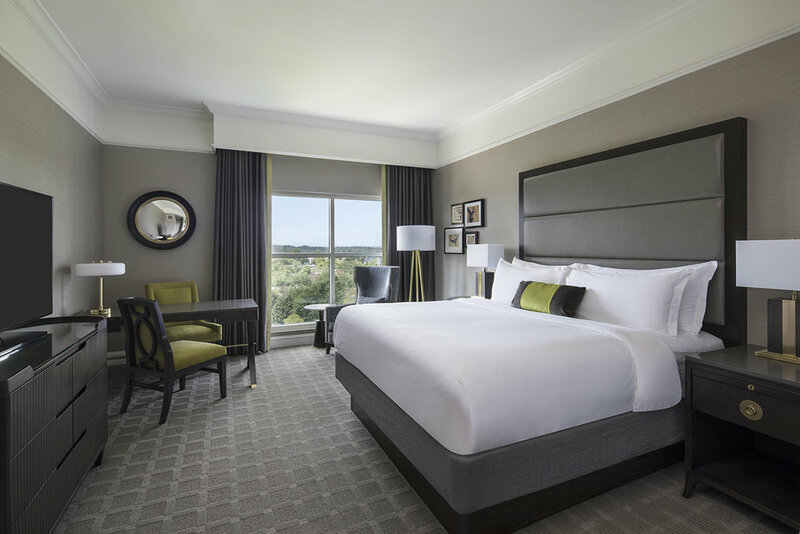 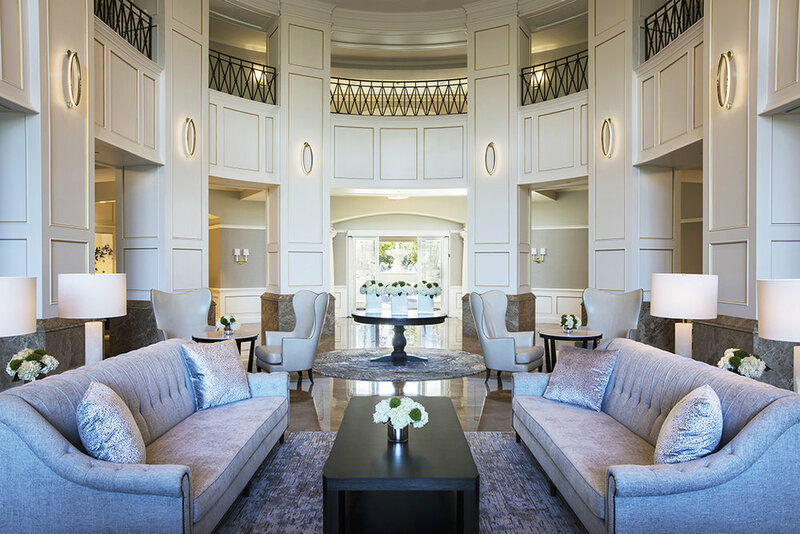 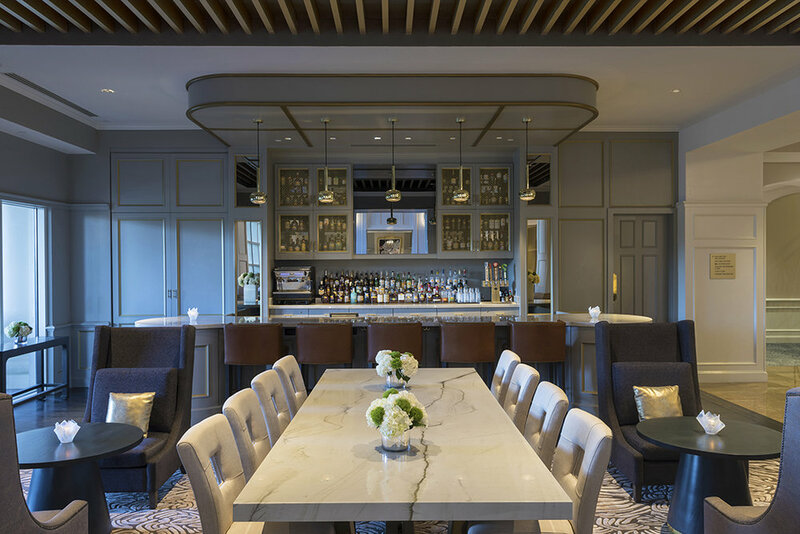 The renovation of The Ballantyne, A Luxury Collection Hotel, reflects the property’s reverence for authentic Southern hospitality with a contemporary take on timeless design and style. 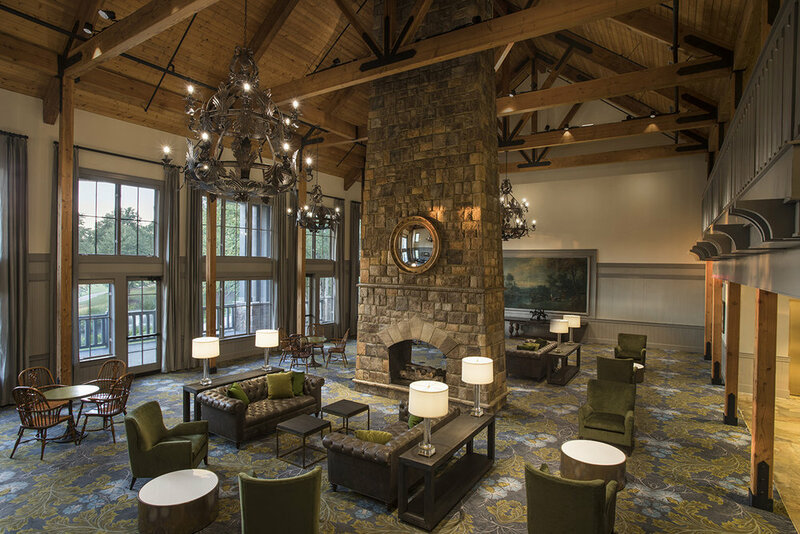 The redesign exudes a “New South” influence inspired by indigenous elements and a luxurious residential feel. 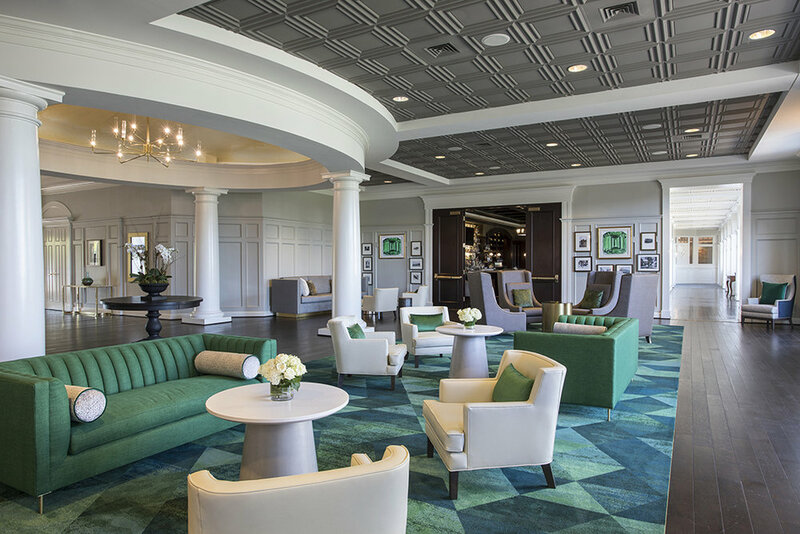 The Ballantyne’s redesign celebrates North Carolina’s rich history, complemented by a tribute to the original hotel owners’ Scottish heritage and taste for global expeditions. 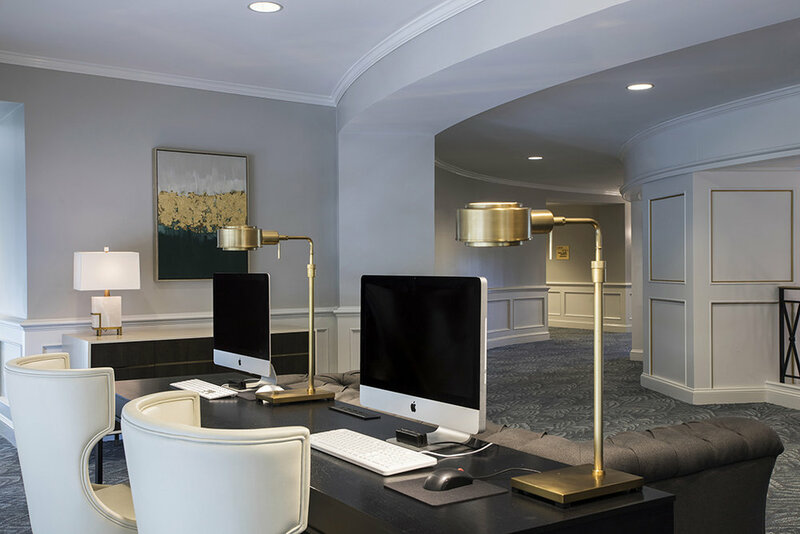 The hotel tells its story through touchpoints property-wide, with subtle nods from its genesis as a hunting preserve to its affinity for curated art, collected artifacts and precious commodity. 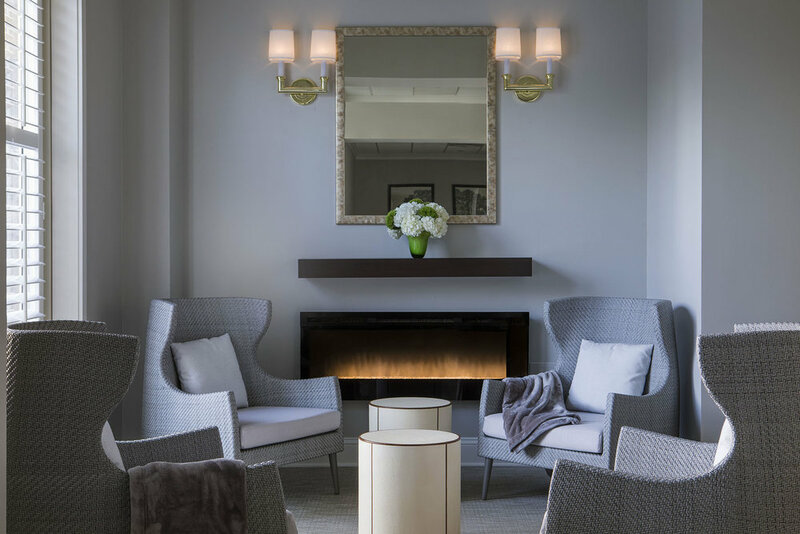 The renovation included a transformation of all public space and guestrooms, and a re-imagination of the exterior terrace lounge. 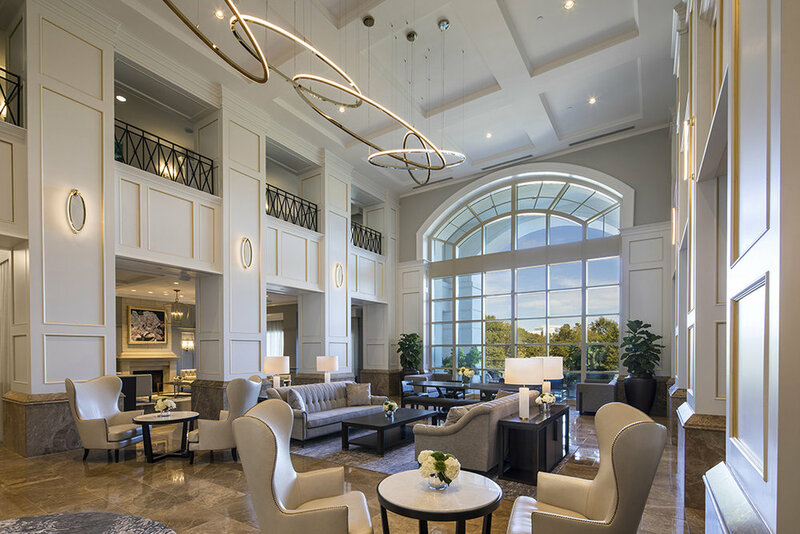 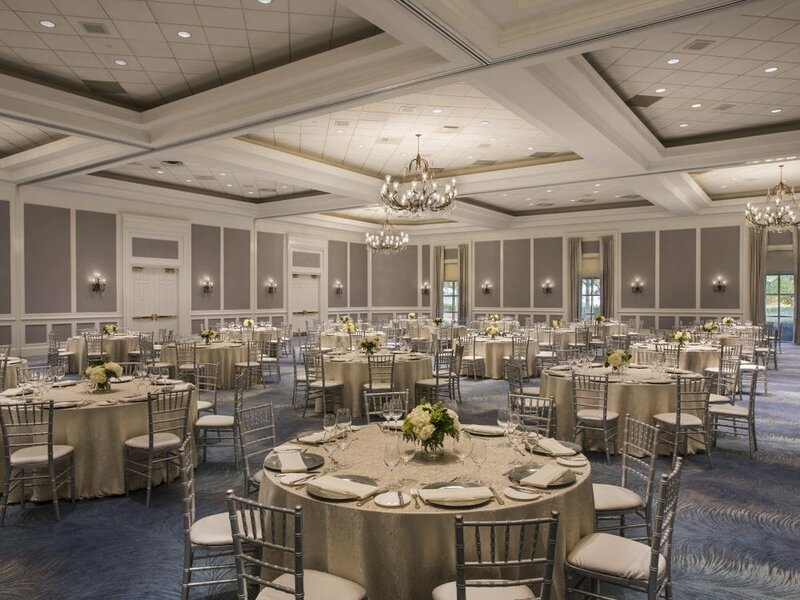 Each space was carefully curated to ensure that the guest experience ties to a sense of place and a is reflection the Ballantyne’s unique persona, rich history and immaculate service.